Poems (Mine) | Put Words Together. Make Meaning. For the past two summers, I have imagined that I have the poems for a third manuscript. For the past two summers, I have been wrong. I carefully ordered and re-ordered the pieces, looked for connecting threads, looked for cohesion, but they never seemed quite right. They weren’t ready to be a book. They weren’t even ready to be something that could be a book if it had the right poems to flesh it out. And I couldn’t help thinking I was doing something wrong. Although I spent years placing my first book, my second came rather quickly, published three years later. And although I have worked steadily on two chapbook projects in the past two years (one of which found a home with the fabulous Porkbelly Press last year and one which is still making the rounds), I have had the nagging feeling that I should be working faster toward a third book. Social media hasn’t helped. There is an intense social pressure when Facebook and Twitter feeds are full of others publishing books, winning fellowships and awards. Even though I know that these successes are years in the making for every writer, and I am always happy to see the successes of other poets, all of these posts make me feel as if I’m not doing enough. As if I’m not a real writer. So, for the last year, I have been writing. When I have the time. Whenever I have the inclination. When there’s something that is nagging at the back of my mind. I stopped submitting poems altogether for about six months. I concentrated on creating work. And guess what? It’s almost summer. And once again, I really do think I may have a third manuscript now. If not, I have a whole lotta poems. And that’s a start. I have been remiss. Already. And during National Poetry Month, of all months. But…there are reasons. Some positive reasons; some negative; some just…reasons. But I have been writing. I am 18/23 in an attempted 30/30 for April, I have finished two book reviews, and spurred on by a request from a journal I love, finally completed an essay that I have been thinking about writing for months. The poem drafts are stronger than I imagined they would be, assuaging some of my fears about having lost my poetry mojo. Reading books of poetry has been a big part of my little sabbatical. In no particular order, digging in to these collections has brightened, enriched, and inspired my April. And this week has brought GPN – good poetry news, for those not in the know. A poem of which I am quite fond is featured in the newest issue of Juxtaprose here. And another poem is in the current issue of Poet Lore, one of the first journals I started to read and aspire to when I came back to writing seriously around 25 years ago. It has been a while since any new work has appeared in print or online for me, so it feels like coming home. I do have to say it’s a little embarrassing to have other bloggers continuously link back to the post where the Revival Bloggers are listed when I hadn’t posted anything in two weeks. Some ringleader I am. But this is about writing, right? And I HAVE been doing that. I’m back. Although I didn’t write HERE on my Spring Break, I did write. And read a LOT. And submit poems to journals, which I haven’t done in quite some time. But after reading the round-up this week on Dave Bonta’s site, I have decided to embark on some sort of poetry endeavor for April. Although I always fail at 30/30 attempts–this is not hyperbole, I mean ALWAYS–I decided to try something different. I am going to try to write something every day that plays with sound and tone – phrases, wordplay, etc. – and, in this way, I will free myself from the pressure to even make sense! Somewhere, I truly cannot remember where, I was introduced to an exercise that I have already used both days of April so far. I will share it here in the hopes that it might give you some ideas about playing with sound. Spend some time making a word bank of every word you can create from the letters in that long word. Three letters or more. You may only use a letter twice if it actually appears twice in the word. Once you have a substantial word bank, start to play with creating phrase combinations. Once you have a few that you like, see if you can use words on the list and other words that stay in that sound family to write a lyric or tone poem. Last night, my husband gave me the word paraphernalia. My favorite phrases were: repel the leper, the bells peal, a panel of liars, the rapier’s rip. I ended up with a draft that might be going in the direction of a “dark days” type of poem. Today with my students, we brainstormed a list from ventriloquist. My favorite phrase from that list was a quiver in the soil brings violets. So I have a plan. Which may not come to fruition. But I am enjoying the music, nonetheless. If you are looking for prompts for your 30/30, when I first started this blog seven years ago, I posted a prompt a week under the label The Poetry Tow Truck. That archive of 52 prompts can be found here – since it’s been so long, I may go back and try some of them again myself! I’m me, and what the hell can I do about it? Today’s post title courtesy of “Introducing Álvaro de Campos” by Fernando Pessoa (translated by Edwin Honig) – also a reminder. In a week of reading LOTS of poets and poems, my usual despair kicked in. How did he/she do that? Why is that so incredible? Why can’t I write like that? And today, Pessoa gave me answer: because I’m not (insert other poet’s name here). Because I’m me. And there really isn’t anything I can do about it, and that’s okay. Of course, reading and borrowing techniques/ideas from other writers has always happened. Hell, even Shakespeare did it. But there’s a difference between learning from other writers and comparing yourself to other writers. The first can be productive – the second is mostly demoralizing. So, today I have been trying to focus on just writing, my writing, not writing to fill a prompt or to mimic another writer or to try and imitate someone else’s success. So far, so good. Zucchini Walnut Bread from an Amish bakery at the Farmer’s Market. Enough said. One of my Bishop/Lowell poems “The Running Away” is featured on the website of The Labletter. Four of these poems were featured in their 2014 print issue, and it is kind of them to give this poem another life online. Extract(s): A Daily Dose of Lit has accepted a flash piece of mine that should appear some time this week (perhaps tomorrow). Hoping that tonight will be submissions night – I have 6 or 7 planned, but I’d be happy with 3 or 4. Because that’s me. It’s the Big Poetry Giveaway – Again! It’s that time of year again! 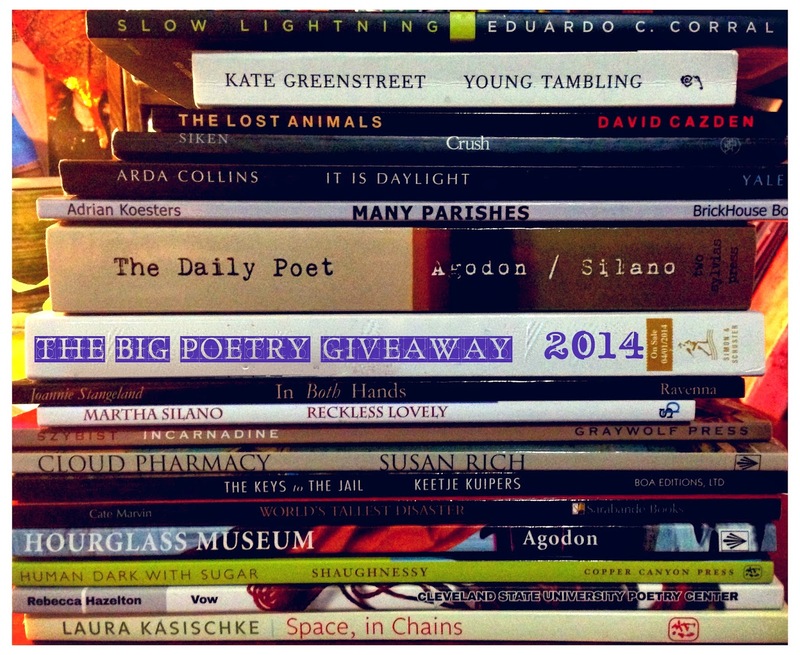 With April comes National Poetry Month and the Big Poetry Giveaway. Here at Put Words Together; Meaning, I will be giving away a copy of my book A House of Many Windows (2013, Sundress Publications). If you have ever lost faith in what you thought were certainties, if you have ever felt betrayed by your own body, and if you are a mother or have a mother, you may find yourself in this book. I am so proud of it. 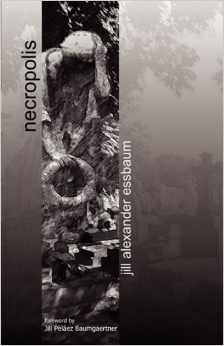 My second giveaway book will be a copy of Necropolis by Jill Alexander Essbaum, a remarkable book of elegy that uses Biblical epigraphs and beliefs to wrestle with the complexity of emotions that accompany death. I know, I know, they both sound heavy. But believe me – even the darkest of subjects can hold a lyrical beauty in its boundaries. So leave a comment below if you want to be entered for the drawing – I will number you in order of response – and click on the link to Kelli’s blog above if you are interested in participating. Happy Poetry Month! It’s the day before Thanksgiving. I do not have to cook tomorrow, as my 79 year old mother still insists on that, but I will be surrounded by (almost) my whole family: parents, husband, son, brother and three nieces. (One brother’s family will be celebrating in Wisconsin, but we will see them for Christmas.) I am always grateful for the time I have with friends and family – we aren’t fancy people, but we laugh a lot and hold one another’s hearts in high esteem. I have been particularly blessed this year with my writing. I am incredibly grateful to Erin Elizabeth Smith and Sundress Publications for taking a chance on my book A House of Many Windows. It has been an amazing experience so far, and the conversations it has sparked with people of all ages, genders, and walks of life have been humbling. I am thankful for all of the editors who took chances and published my work, those who nominated me for awards, those who sent encouraging words along with their rejections. And I am grateful for all of my writing friends – those who are physically in my life and those who live in the online ether – for encouragement, support, praise, critique, and general camaraderie. So, in honor of that writing community, I wrote a draft in a form I had never seen before today. In perusing The Daily Poet by Kelli Russell Agodon and Martha Silano (which I reviewed earlier this month), I came upon an entry which challenged me to write a glossa, a form based on four lines from another writer. The example provided used song lyrics, so I did the same. sorrow drips into your heart. with time and now all the colors are fading. out in thin rations through a pinhole. in its disrepair, just like a faucet that leaks. but (at least) there is comfort in the sound. Take a risk! I have received a few entries in my book giveaway contest, but I am still taking poems until Friday. Write me a sonnet! Reaching out and trying to promote the book has been difficult for me. I am not naturally an extrovert – although I’m not shy, I’m also not bold, so to cold contact reading curators, etc. to set up events has been uncomfortable. But taking the risk has paid off so far. In the past month, I have appeared at an author’s fair, had a launch reading in the community where I work, and have booked three other readings in areas that will be new audiences for me. People have responded well to the work, so even though I will never be completely comfortable with this aspect of the “po-biz,” I can say that I am conquering my fear. On my residency this summer, I set a goal of submitting to journals with a more difficult chance of acceptance. Some are still pending. Others have received the good-old form rejection. But a favorite journal of mine, Labletter, accepted four poems from my Bishop/Lowell series for their 2014 issue. I believed in these poems finding the right home, and now they have. That risk brought great reward. And, speaking of risks, tonight I created a new folder on my laptop with 107 poems that could be a second manuscript. 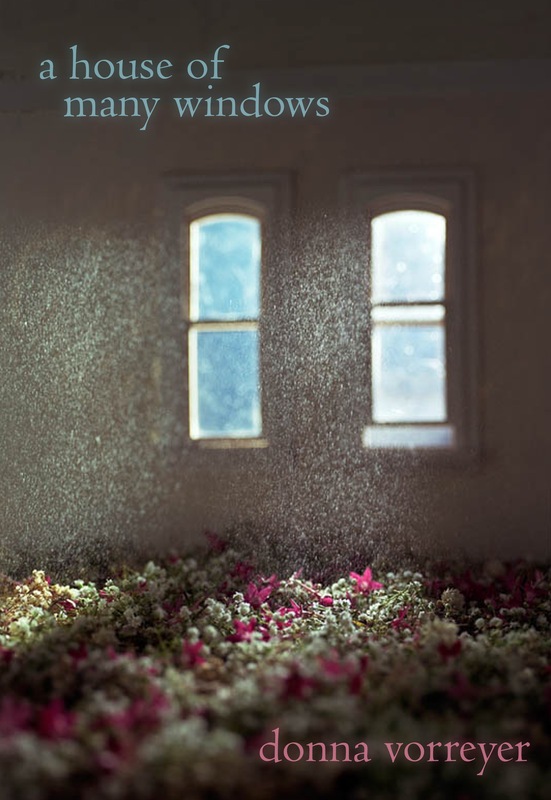 I will do a little fidgeting in the next couple of months – placing poems into possible categories, looking for image threads that reach across poems, swapping poems in or out based on emerging themes. And, when my two weeks of winter break comes along, there will be paper. Patchwork fields of paper. Hopefully a risk worth taking.